Most of us don’t really think about the process of wine making, only the bottle that we have in front of us. But a huge amount of effort, time and dedication goes into each glass of red, white and rose. And for award-winning wine producer Clive Vickers there is nothing more satisfying than seeing a customer enjoying a glass of his wine. 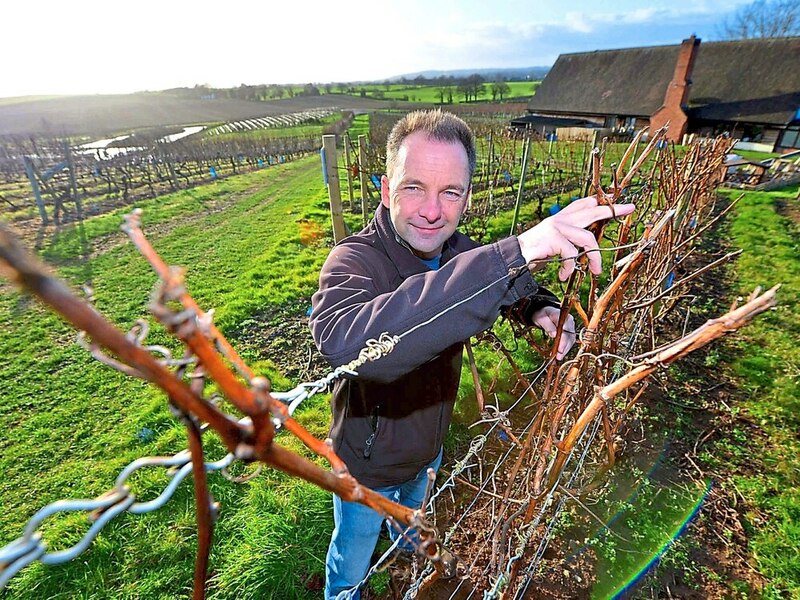 He crafts a range of between 12 and 15 varieties, which are produced from 30-acres of grape vines at Halfpenny Green Wine Estate, near Bobbington. It’s a family affair with his father Martin tending to the crops and his wife Lisa managing the business, shop, restaurant, deli and tea room on the site. They produce a range of different dry, medium dry, medium and sweet white wines and red wines as well as sparkling white, pink and red wines. These include four that are stocked in around 25 branches of Marks & Spencer as well as online and one that is available at Waitrose. The first journey from grape to bottle began in 1983 after Martin and Clive planted half an acre of land with 400 vines as a trial to check the conditions were suitable for growing the crops. To their delight, they discovered the site, which is situated 250ft above sea level, was ideal. By 1991 a further 22 acres were added and now they have around 45,000 vines across 30 acres – making it one of the biggest vineyards in the UK. 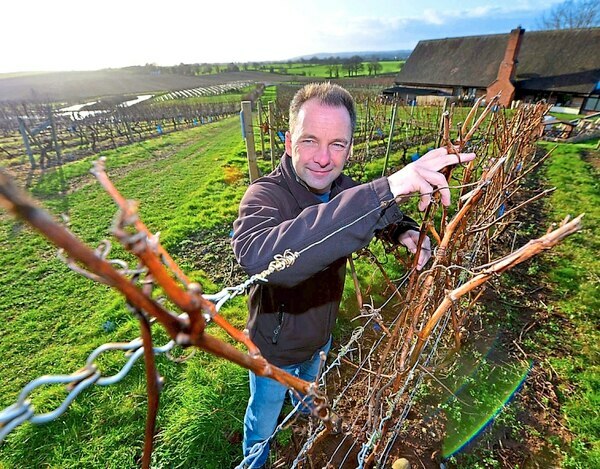 Their wines have received international, national and regional recognition and also won numerous awards from the Mercian Vineyard Association and the United Kingdom Vineyard Association (UKVA). So what do you need to be able to grow grapes for wine in England? 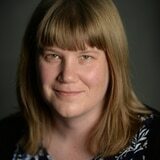 “You always need the basics – south-facing, free-draining slopes that are well-sheltered and relatively frost free. “Our first vintage of 100 bottles went down really well and over the years the awards the wines have won has have spoken volumes about the site where we’ve chosen to plant the vines. “We’re lucky that we already had a suitable site because a lot of people wanting to start wine-making have to spend a long time looking for a suitable site and getting in expert analysts to test the land. “It’s also important to choose the right grape varieties for the site you have and also to know how to look after them. We have crop management knowledge because we come from an arable farming background,” explains 50-year-old Clive. The grape varieties grown at Halfpenny Green include the well-known Chardonnay and Pinot Noir but they are many lesser-known types that have been carefully selected. “We also have a whole host of ‘perfect for cooler climate’ varieties which wine connoisseurs will have heard off but you might not see in the supermarket. They include Bacchus, Rondo, Reichensteiner and Madeleine Angevine,” Clive tells us. The bottle prices ranges from £7.99 for the medium dry Penny Red to £29.99 for the full-bodied Rondo or sparkling rosé Pinot Chardonnay. After a vine is first planted, a grower can expect the first crop of fruit after three years and for the plant to have matured after five. It can then go on comfortably producing grapes for 60 to 70 years but there are some vines in existence that are still bearing fruit 200 years after they were first put in the ground. It’s a common misconception that vines will not grow as well here as they would in warmer climates but they are actually very hardy. White wine grapes can withstand temperatures as lows as -25c. “The biggest risk to the crop is if we get a late frost after bud burst which is normally in mid to late April. It can be tricky if we get a wet summer because we want a warm spell for the sunshine to ripen the fruit before it’s harvested. Picking the right grapes for the site is key to it,” explains Clive. At the moment it’s a fairly quiet period for the vineyard, following the October grape harvest, but each of those 45,000 vines will now need to be pruned ready for the growing season which starts in the spring. 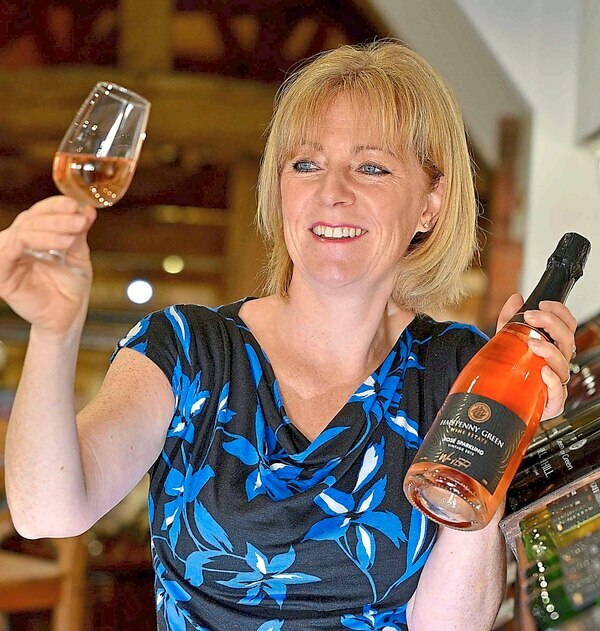 At that time they will begin bottling their own 2017 vintage wines as well as those for other growers at around 50 other vineyards across England and Wales that send their grapes to Halfpenny Green. Between 80,000 and 100,000 bottles a year are produced at the winery. 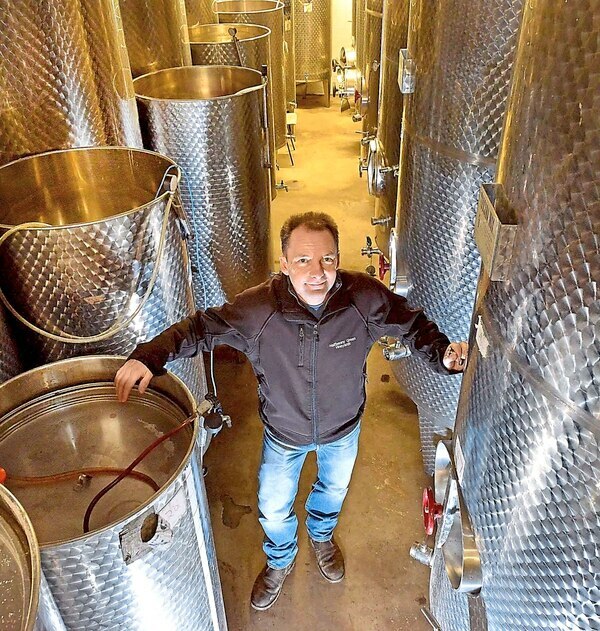 “The wines we bottle in 2018 are the 2017 wines. After the grapes are harvested, the grapes are crushed to release the juice. “Then the yeast is added which converts the sugar from the grapes into alcohol. The fermentation process takes around six to eight weeks,” says Clive. With sparkling wines, there is a secondary fermentation process after the wine has been bottled. Extra yeast and sugar is added and it’s the carbon dioxide given off by the process gives it it’s fizz. The yeast is removed before a cork added. Clive is proud of how far the business has come since the first vine was planted especially as the venture did raise a few eyebrows when they first started out. “It was definitely considered a risk and people thought we were mad. Back then most English wine was being produced in Kent and Sussex and we were considered one of the most northerly vineyards in the country. “But now there are vineyards in places like Yorkshire and even one or two in Scotland. English wine is more established now and in the public eye more,” he tells us.